The team from Shires in Mildenhall supported the Christmas fayre yesterday evening. The turnout was amazing and we gave away approaching 500 shires balloons. 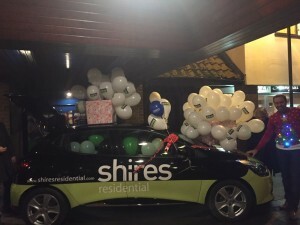 Our competition proved a great success with over 300 entrants trying to guess the number of balloons inside our Shires Car. The winner of the £50 Amazon voucher was Nichole Snyder.